signature-less technologies including advanced machine learning, behavioral analysis, anti-exploit and integrated sandbox. 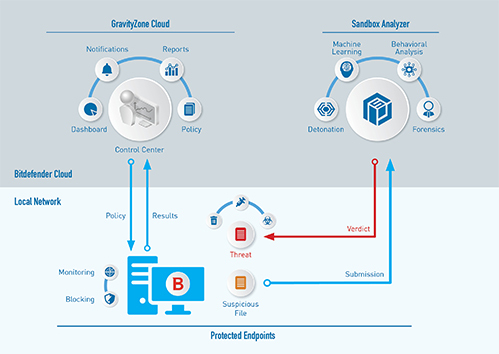 GravityZone Endpoint Security HD provides a layered next-gen architecture that delivers prevention, detection, remediation and visibility in a single modular platform. hacking tools, exploits and malware obfuscation techniques. It effectively blocks attacks that both traditional endpoint and so-called “next-gen AV” defenses miss. 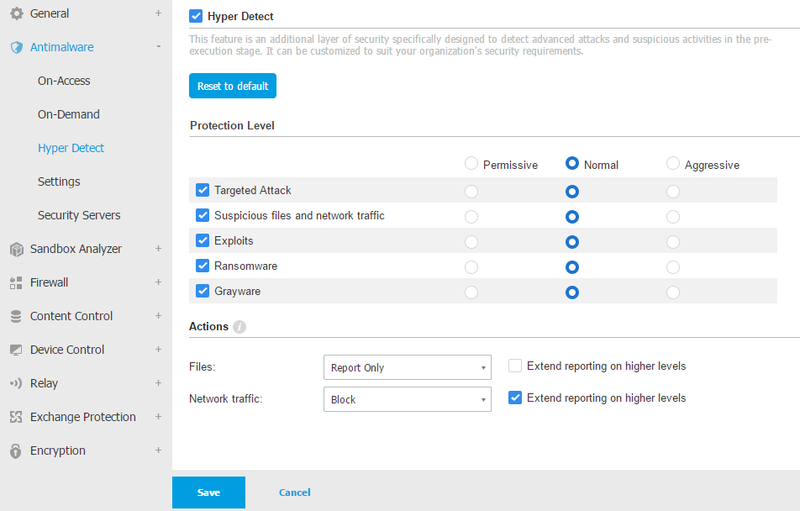 A powerful layer of protection against stealthy attacks, the endpoint integrated Sandbox Analyzer detonates payloads in a contained virtual environment, analyzes their behaviors, reports malicious intent and provides actionable insight. Highly effective in detecting and stopping file-less attacks, Process Inspector (a part of ATC) continuously monitors all running processes and hunts for suspicious activities or anomalous process behaviors. Once it reaches a malicious verdict, GravityZone takes immediate remedial actions, including process termination an rolling back malicious changes. 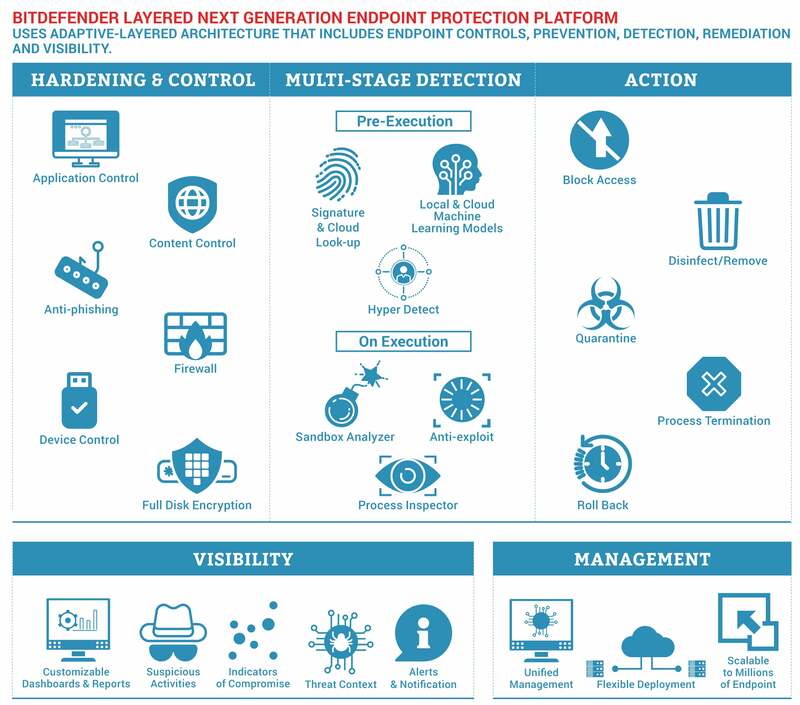 Endpoint Security HD is the only endpoint security platform that can expose suspicious files and activities it observes on the endpoint (regardless of where customers set the blocking level) as well as provide detailed endpoint optics and indication of early stage of attacks. infrastructure in mind—are unsuitable for the software-defined datacenter as they are inefficient.